On 28th of January 2018, Ingvar Kamprad, the Swedish billionaire and founder of the Ikea furniture chain, passed away at the age of 91. He left more than the legacy of IKEA behind, he also left his values. What can we learn from the commonalities between Ingvar Kamprad, the legendary investor billionaire Warren Buffet and the former president of Uruguay Jose Mujica? Humility is a vital competency in leadership. A study that was conducted in 2015, examined 105 mostly privately held SMEs in the ICT sector in the USA, revealed that when a more humble CEO leads the company, its top management team is more likely to collaborate, share information and subscribe to the organizations’ shared vision, thus improving performance over time. In contrast to an arrogant leader who dictates decisions and often faces resistance, a humble leader is typically a better listener who values other people points of view, that inspires more openness, creativity and ability to jointly make decisions. One interesting finding was there was more equality of pay in organizations managed by humble leaders. Fairness contributes to greater trust and harmony among teams. One of the common traits that truly humble and confident leaders like Ingvar Kamprad share, is having a balanced view of themselves. Humble leaders develop healthy relationships with their ego. Kamprad understood and embraced his virtues and his shortcomings. He encouraged others to dare to be creative, to try new things even if they made mistakes. He expected them to take ownership, learn fast, try again and avoid blame and shame. On top being humble and prudent, Kamprad, Buffett and Mujica role modeled the value of being generous especially with the needy. Both Ingvar Kamprad & Warren Buffet were listed among the most wealthy individuals in the world and moved almost all of their wealth into charitable trusts. Jose Mujica donated 90% of his salary to charity. All three insisted on driving their own car. Jose Mujica drives a 1987 blue VW Beetle, Ingvar Kamprad drove his old Volvo, and Warren Buffet who drives a more expensive car tries to get a good deal for his Cadillac. Buffett still lives in the same house he bought in 1958 and has worked in the same office building for more than 50 years. In this Donald Trump era, humility can no longer be easily dismissed as a leadership quality. Humility is the antidote to arrogance, not a weakness, but a virtue. It is a leadership asset. To some, humility is second nature. Others need substantial inner strength to take control over their needy ego and have the courage to resist the temptation of misusing the power that they possess. While arrogant “know it all” leaders use their charisma or rank to impose their points of view, humble leaders do the opposite. Even though each individual is the center of her/his own microcosmos, humble people do not confuse that with the thought that they are the center of the universe. It is not all about them, on the contrary, they see themselves as a part of the bigger picture and how they can contribute to it. “The sea is lower than the rivers. This is why the rivers flow to the sea and not the other way around” ~ Dr. Chana Zelizer. They possess the ability of reflectiveness and self-awareness. They have the emotional capacity to see their own true colors. Humble leaders have a better understanding of their and others’ strengths and weaknesses so they will not limit themselves. They have an opinion, but they are not afraid to check it against reality. They are more often grounded in their search for evidence before making decisions. They take into account their intuition but they do not rely on it exclusively. They really listen. Humble leaders create and cultivate an environment of trust that invites honest feedback, essential criticism. An atmosphere of a collective, supported by the leader rather than being self-serving. These promote diversity of opinions, creativity, a spirit of innovations, greater loyalty, higher engagement, and better performance. What are your top 5 personal core values and how do you role-model them? How close are your personal values aligned with your organizational values? 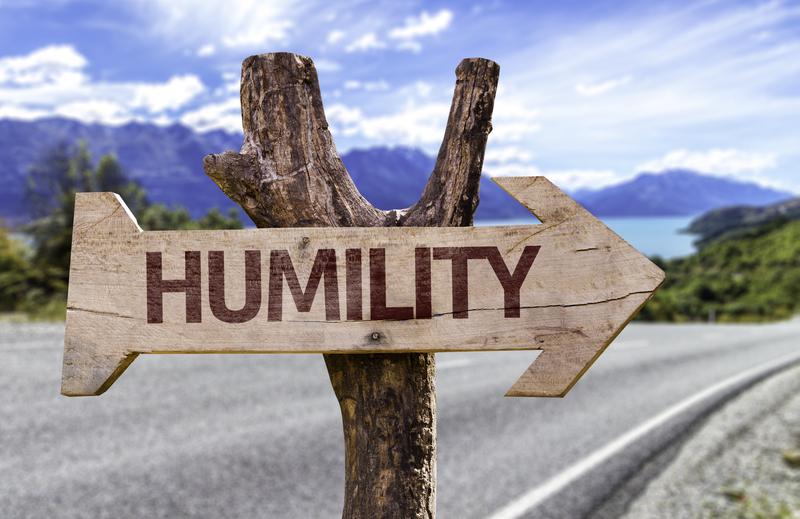 Do the senior leaders in your organization role model humble, prudent and generous behaviors? What leadership stories are told in your organization? Are they focused on heroic individual results or do they emphasize humility, empowerment, generosity, and kindness? Working globally from Singapore, TEDx (IDEASx) global speaker Avi Liran (Economist, MBA and basketball coach) is the Chief Delight Officer of www.deliveringdelight.com. He is is the originator of the creative, inspiring and entertaining keynote talks and edutainment programs Delivering Delight, helping organizations worldwide to tap on their Inner Delight to Lead With Values so they effectively cultivate a Delightful Organisational Culture (DOC) that nurtures Delightful Employee Experience (DEX) which empowers Delightful Customer Experience (DCX). Avi consults, trains and coaches leaders and manager from Fortune 500 companies how to tap into their inner delight and lead with value so they can walk the talk to drive results. Organisations who work with Avi experience higher engagement, retention, creativity, and productivity while having so much more fun and camaraderie. Enjoy the following sharing by Avi at the IDEASxP&G talk on the concept of "DOS360: Delight Operating Systems." While we enjoy the convenience of food delivery and online shopping, it has taken a toll on our r...; 19 hours 37 min ago.